After the 4th months of the release of Samsung Galaxy S8 and S8 Plus, the so called Bixby voice is finally out in the United States. The long promoted and boasted Bixby is no doubt, one of the best virtual assistant out there, but it is still in its infancy nowadays. However, after we rounded up the list of its full commands, we agreed that Samsung boasted true and is really helpful for the users of Samsung Galaxy S8 and S8 Plus. 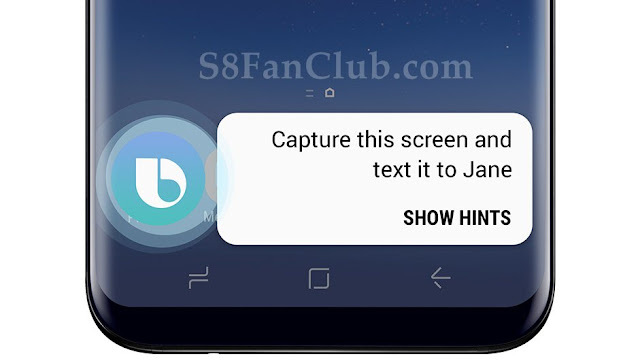 If you still don’t know what the Bixby Voice can do for you, check out the list of the commands we have rounded exclusively just for you. You can ask a number of GK questions from Bixby as well. And much more. Try out these voice commands on Bixby Voice on your Galaxy S8 / S8 Plus and enjoy!